Five people have been charged in yesterday's shootings on the Atlantic City Expressway in Egg Harbor Township, NJ. One person was killed and four people were injured. The shootout happened on the eastbound Expressway near the Garden State Parkway around 3pm. Shots were fired between multiple vehicles. A bullet-riddled white Ford Expedition containing four injured men was found in the parking lot of a nearby Wawa. The SUV was hit with 21 shots. A Nissan Maxima with a deceased male passenger was discovered on the northbound Parkway near mile 38. He is identified as 22-year-old Rosemund Octavius of Egg Harbor Township. The four men in the SUV were taken to the hospital. They have been identified as Lenardo Caro, 24, of Little Egg Harbor Township; Yahshaun Stukes-Williams, 19, of Mays Landing; Shaun Stukes, 38, of Atlantic City; and an unnamed 16-year-old male. Those 4 along with the driver of the Maxima, 24-year-old Anthony Hicks, are facing weapons charges. The three adult SUV occupants are also charged with employing a juvenile in a crime. Investigators found three handguns and an assault rifle near the Wawa. 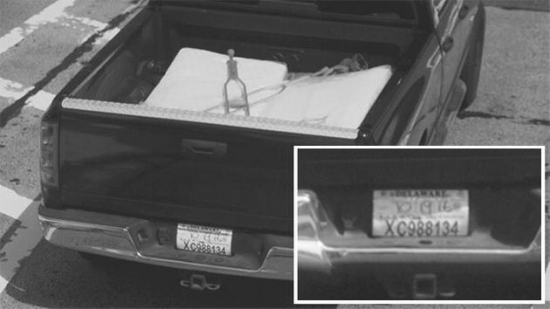 Authorities are looking for a third vehicle involved in the incident described as a black Dodge Ram with temporary Delaware registration XC9 88134. Bail has been set at $250,000 for each suspect. UPDATE: New Jersey State Troopers have found the third vehicle involved. The black Dodge Ram was taken into evidence on the 200 block of East Oakland Avenue in Egg Harhor Township Tuesday night. 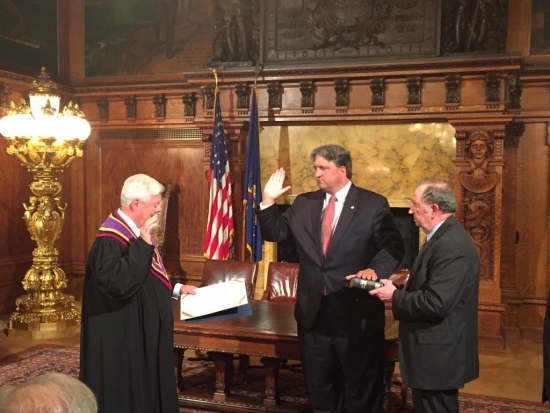 Bruce Beemer was sworn in this afternoon as Pennsylvania's new Attorney General. Beemer takes over for acting AG Bruce Castor who replaced Kathleen Kane. Kane resigned on August 17th following her conviction on perjury charges. Governor Wolf nominated Beemer on August 18th. The Pennsylvania Senate had to come back from summer recess early to vote on the nomination. The vote was unanimous, 44-0. Beemer was First Attorney Deputy General under Kane but clashed with her. Last month, he left the AG's office to take the role of Inspector General under Wolf. Beemer ended up testifying against Kane. Beemer will serve out the remaining 5 months of Kane's term. A new Attorney General will be elected this November. A body was pulled from the Schuylkill River this morning in Grays Ferry. The discovery was made just before 11 a.m. near the 1300 block of Schuylkill Avenue. Police said, the body appears to belong to man in his mid to late 20's. There were no visible signs of trauma. Police believe the body had been in the water for three days. There will be a rally for 2016 ArenaBowl XXIX Champions Philadelphia Soul this Wednesday at Noon in the Philadelphia City Hall Courtyard. Mayor Kenney, the team, coaches, Soulmates dancers, and the owners including Ron Jaworski are expected to be in attendance.